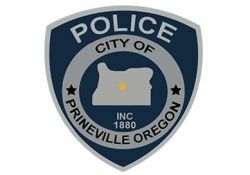 PRINEVILLE, OR -- A 47-year-old Prineville man was killed in a crash on Highway 126, Thursday. Investigators say John Whitehurst was riding a motorcycle westbound up the Prineville grade when he went on to the gravel shoulder and hit a group of boulders, at about 10 a.m.
Several witnesses stopped to help, but life-saving measures were unsuccessful and Whitehurst died at the scene. Police don’t believe speed or alcohol were factors in the crash, and he was wearing a helmet.